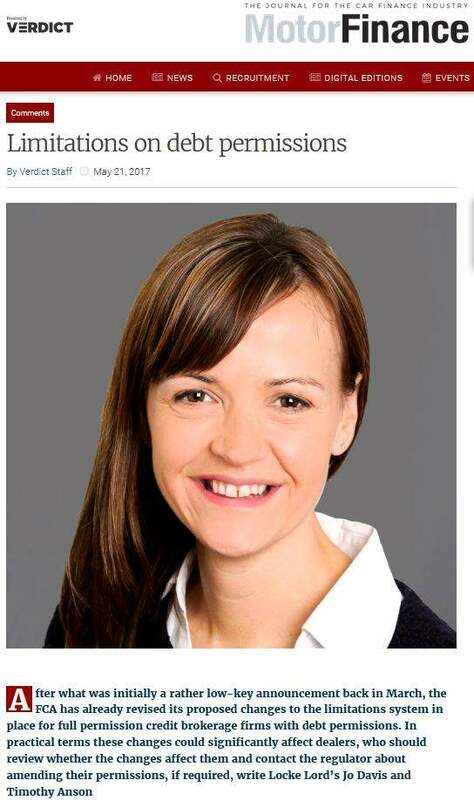 Julie, you have been in Motor Finance recruitment for some time, what are some of the key changes you have seen over the years? I have been in motor finance recruitment and asset finance recruitment for over 20 years. Initially, it was dominated by bank-owned finance houses so, in the early days, companies such as Capital Bank, which was originally NorthWest Securities, First National Bank and Blackhorse, formerly UDT/Chartered Trust were big players. So things have changed a great deal as many of those companies either do not exist or have been absorbed into other companies. Also if you go back ten years, GE Capital was dominant in the market but withdrew from the motor finance market. Since the recession and over the last five to six years, the biggest change would be the growth and evolution or dominance of brokers. 70% of our vacancies currently would be with motor finance brokers and the other third with lenders – some bank owned and some not. Our clients include MotoNovo, Blue Motor Finance and Moneybarn. Some of these are relatively new to the market. 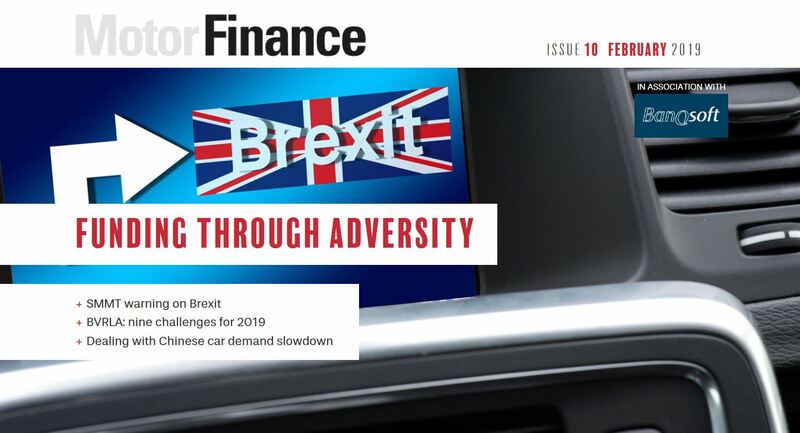 At one stage motor finance companies were more inclined to take people from the motor trade and then teach them finance but the profile, especially on the sales side, has changed. That is a lot to do with evolutionary technology. What particular aspects of the recruitment process are unique to automotive? Quite essential in any increasingly regulated environment is credit – the candidates working in motor finance have to have A1 credit. A key part of the recruitment process is that candidates have to undergo a credit check for the application to progress. Candidates cannot have defaults or CCJs, bankruptcies or IVAs. Major clients would credit check prior to the interview so we have to have permission – especially now with GDPR – so we send a form to a candidate asking for authority for our client to credit check. This can be slightly daunting for a candidate as it can leave an imprint on their credit file and you are asking this of someone for a job they may not get. Poor credit checks will often mean the candidate will not even get an interview let alone be employed. Some companies do credit checks after offer. Over recent years 10%-15% at that stage will fail the credit check. Initially, we found this intrusive but it saves a lot of time for everyone – candidate, motor finance company and motor finance recruitment company. We have to put it on the table early in the discussion. Digital technologies, artificial intelligence, machine learning etc. are set to radically change the mobility sector. What challenges do these pose to businesses looking to recruit quality staff? Being IT literate and competency with the internet are key skills and not as you might think universal ones. There is possibly a generational element to that. The key thing is that salespeople have to report on a laptop at the end of the day. They are increasingly taking the customer through an online proposal. Technology is driving the way that car retailing is going as it is better for the OEM’s, the dealers and most importantly it is a better experience for the customer. So IT literacy is imperative. Traditional finance houses were bank-owned and they are not dominating the market anymore. Brokers are kings. Motor finance is very fast moving – you have to be IT savvy – you have to be up to the minute and competent in using systems. It isn’t difficult but if you look at some of the lenders what is differentiating them is having quality IT platforms integrated into the dealership. Automation is separating companies. Some of the companies we recruit for instead of looking for candidates from their competitors are looking for people with digital or media skills to be account managers. Someone say working for media advertising or Yellow Pages would have as good a chance as a competitor because they know how to sell the media concept and the digital concept. Finance is finance but being IT literate is the key. We have put a lot of BDM/Account Managers into roles, not from the industry. It is a positive to bring in new people but people who are fresh to the space but know how to sell a concept. For senior roles it is different. Management always wants someone who has come from the industry. Credit positions would either come from motor or other consumer finance backgrounds. A lot of credit underwriting which used to be manual is increasingly online so that is where technology is replacing people to an extent. 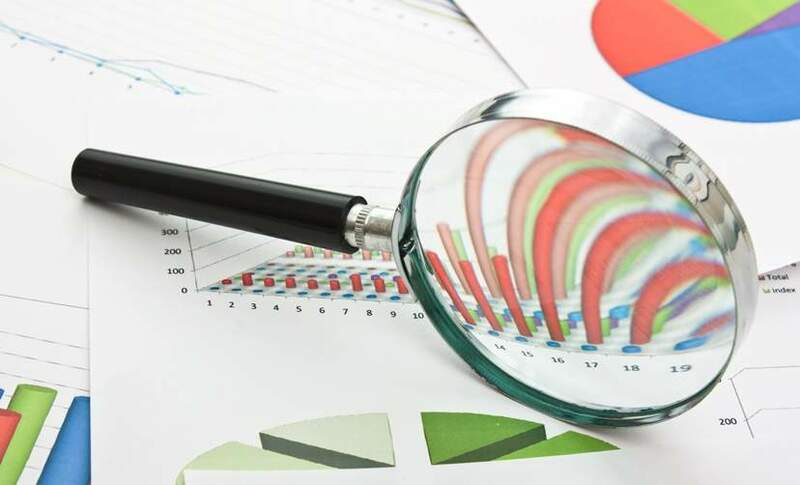 In motor finance and asset finance opportunities in operations, backroom, sales, marketing, remarketing, asset management, risk, collections are in a healthy state – it’s a buoyant market. What are the key qualities you look for when asked by a client to find a high-performing candidate? We look for candidates who are IT literate. We are looking for people who have a contact base within the dealership group. We look for career stability – not job-hopping and a good knowledge of compliance and regulations. Also for candidates with a clean credit history. Car dealerships are considered by many to be under threat from the digital revolution. Do you have a recruiting view of this? It’s true. If you think how motor finance companies are integrating into large dealership websites – the public can look at the car on line, they can get car finance quotes online, and all without going to a dealership and having a bad experience. Our surveys have shown that either most car buyers receive little or no help at dealerships or don’t like the hard sell and certainly don’t like the daunting paperwork. Conversely, it’s possible to have a great experience on line with something like contract hire, where you can do all the research, make an enquiry and get a call back and it is a good experience. But, for now at least, we still need the showroom, to look at the car, look at the legroom, and look at the boot. 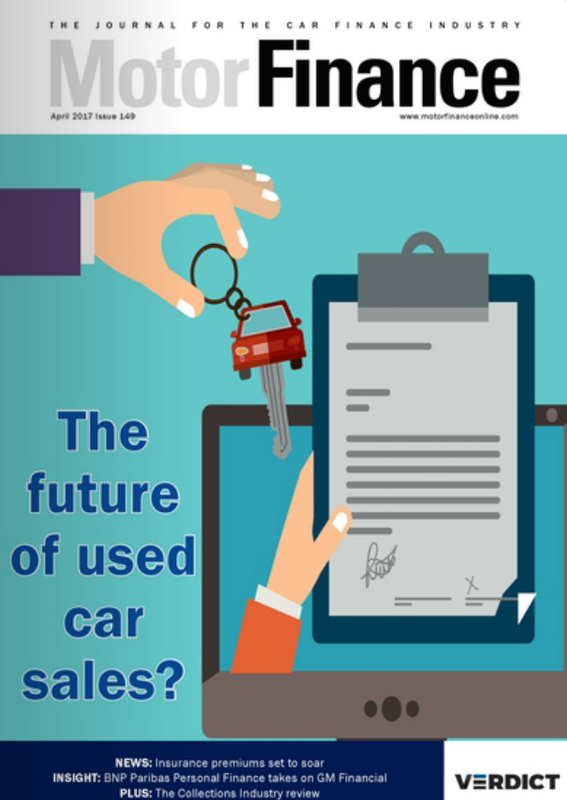 Dealerships are increasingly becoming showrooms for online propositions to confirm the decision not make the decision. The whole retail market is shrinking because people do expect to buy things online. On the flip-side, there are a wide range of products available now – HP, PCP, purchase – and online can’t always explain that as well as a good face-to-face person. The options are complex and it is a bit of a minefield. There is still a place for the personal sale. In terms of THC Recruitment we only recruit for the finance providers, the motor finance companies and the brokers. We do not work with dealership recruitment. 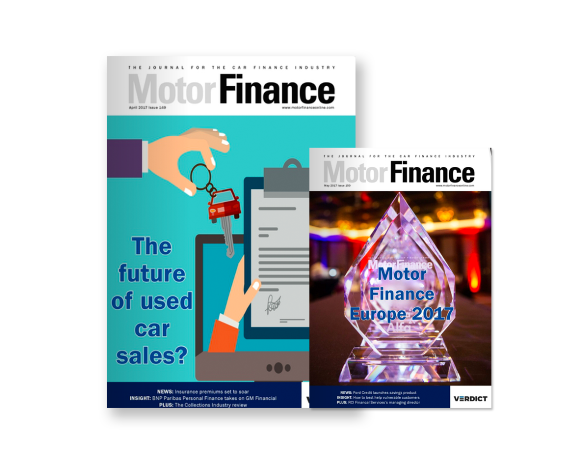 Any final thoughts on the future of the motor finance business? I think the good brokers will continue to win business at the expense of the lenders, particularly in the subprime sector. They are more competitive and fast moving. 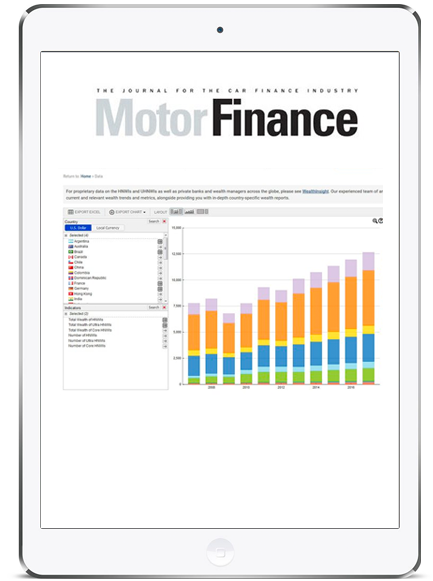 Companies like Motonovo are very innovative, their digital proposition, Findandfundmycar.com – this site is very easy and painless – they find you a car within 50 miles of where you live, they give you a finance proposal, the docs will come down over your email. That’s the way it is going forward. I wonder what the future of the dealership other than a showroom really is?. If we look to the USA for a lead then we can see increasingly that people don’t own cars. 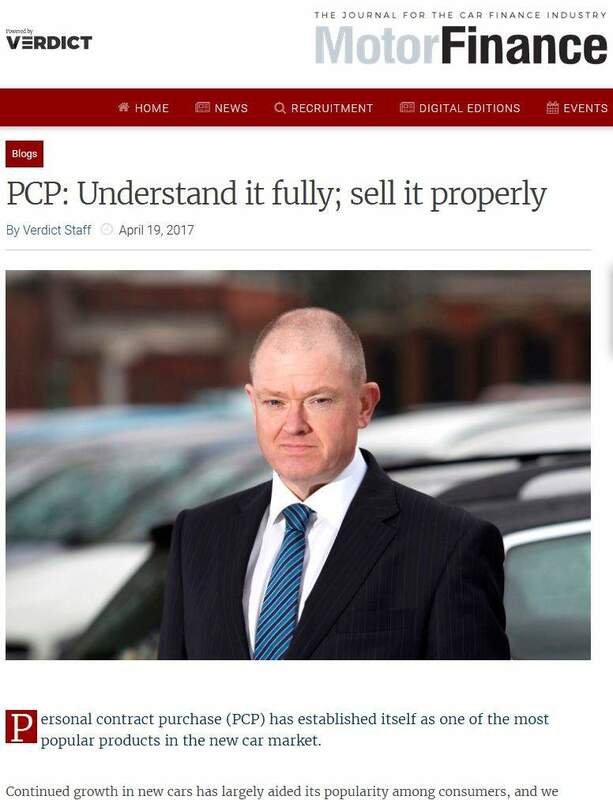 It’s all personal contract hire. How quickly will the UK and Europe move to this mobility model? There might well be a tipping point here where Millennials see this as the norm. Especially in urban areas where parking, congestion charges, and congestion make driving an essentially unpleasant experience. Mobility accounts, car sharing and the car version of the AirBNB model, which is proving so successful in places like Berlin, will continue to make ground. Things may not change that much in suburban and rural areas though for a while to come.